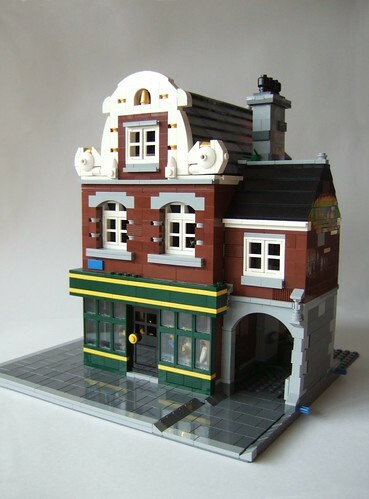 Brick Town Talk: Pub Crawl - LEGO Town, Architecture, Building Tips, Inspiration Ideas, and more! The Netherlands - (BTT) We seem to be doing a bit of bar hopping as of late, and I'm sure the locals at this Irish pub could go on at length the ways their watering hole is better than last week's English number. Assuming you can put up with the off-key renditions of "Danny Boy" till all hours of the night, there is also a fully furnished apartment up above. Realy good work, i like it. Is it hand made? Nathan Sawaya LEGO Exhibit at the Morris Museum!